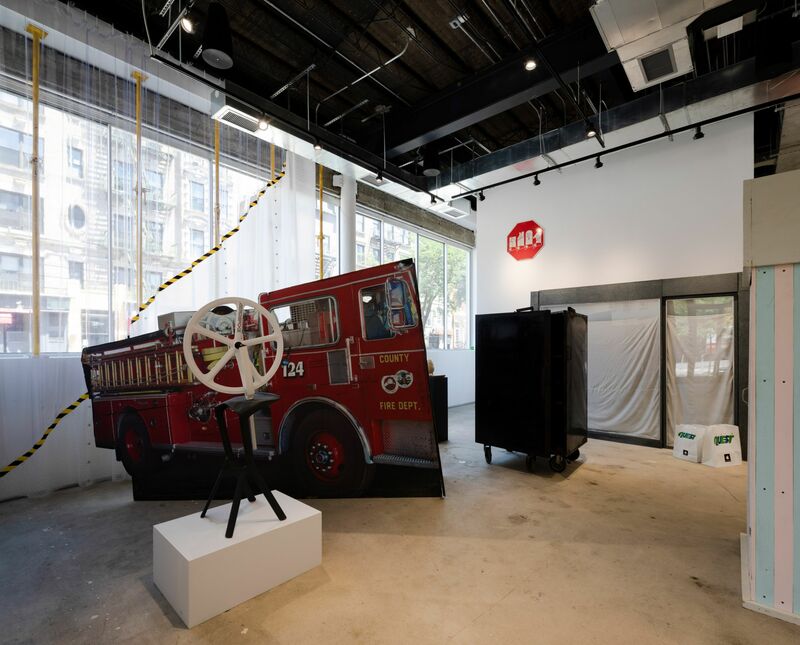 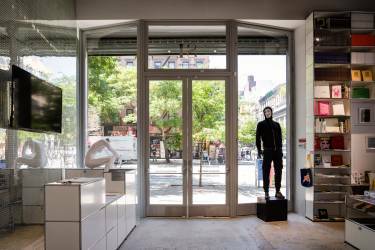 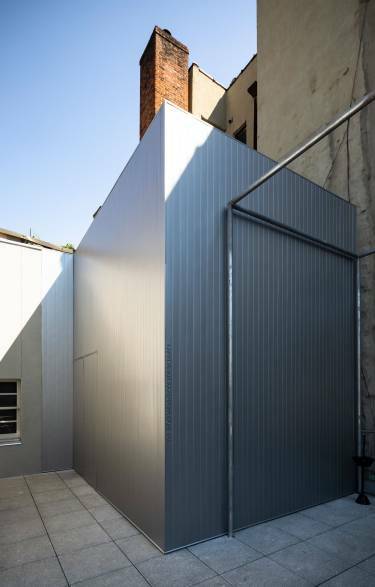 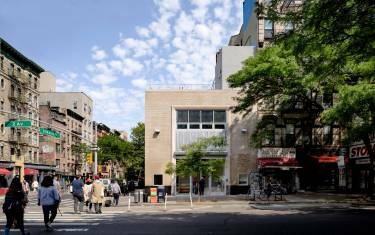 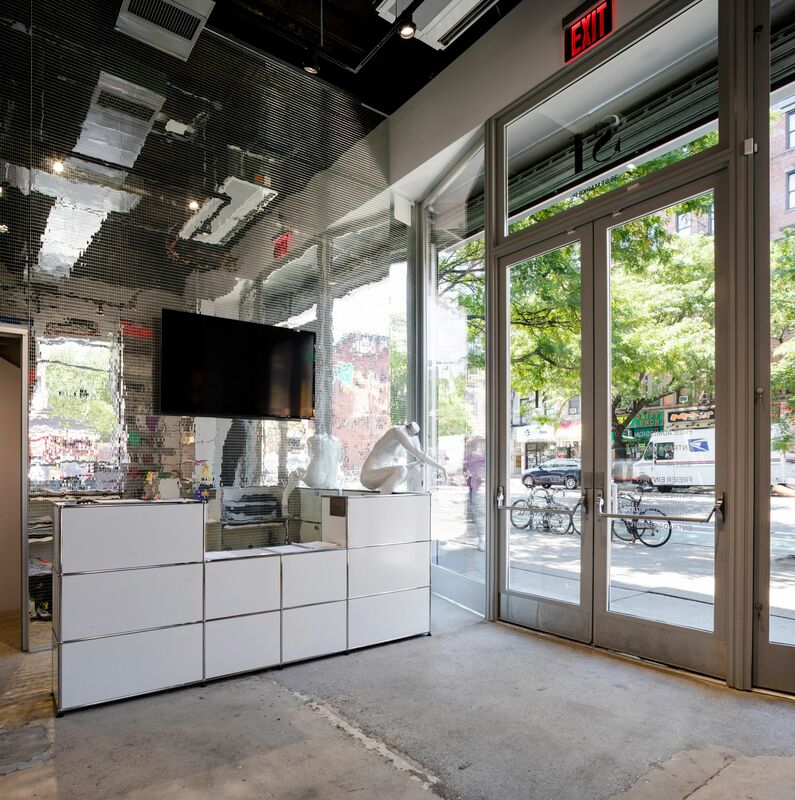 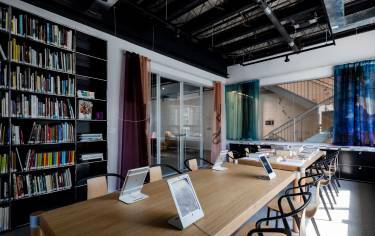 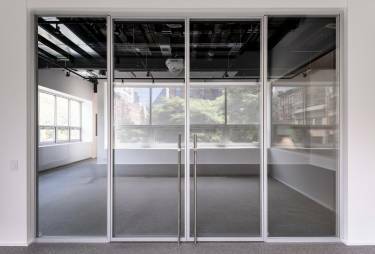 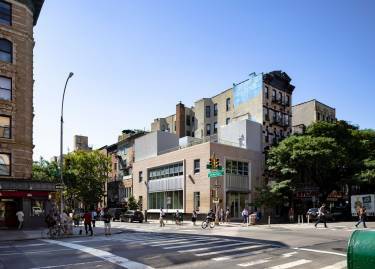 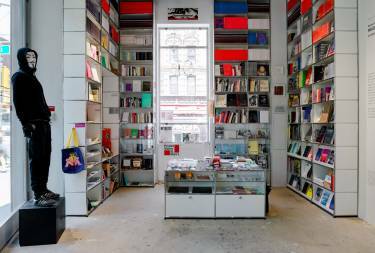 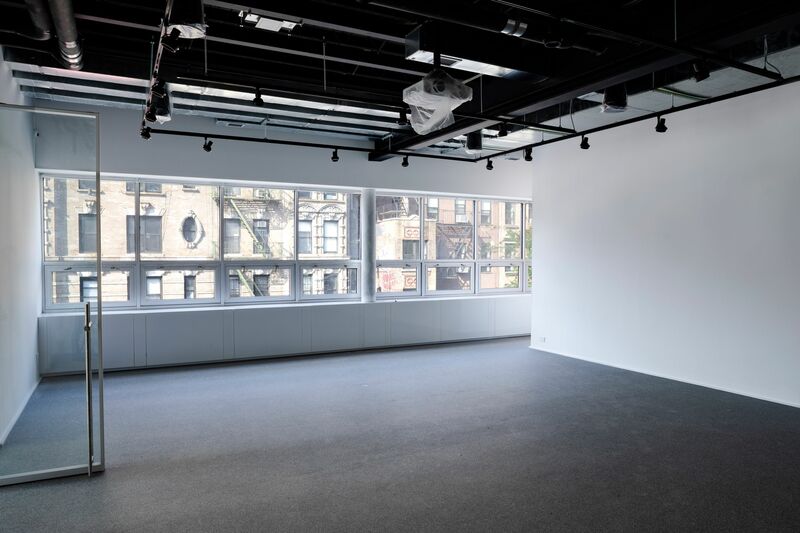 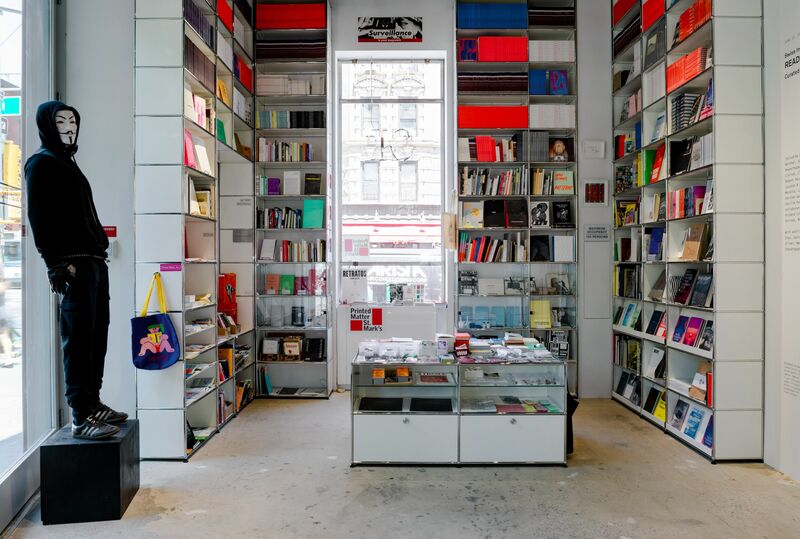 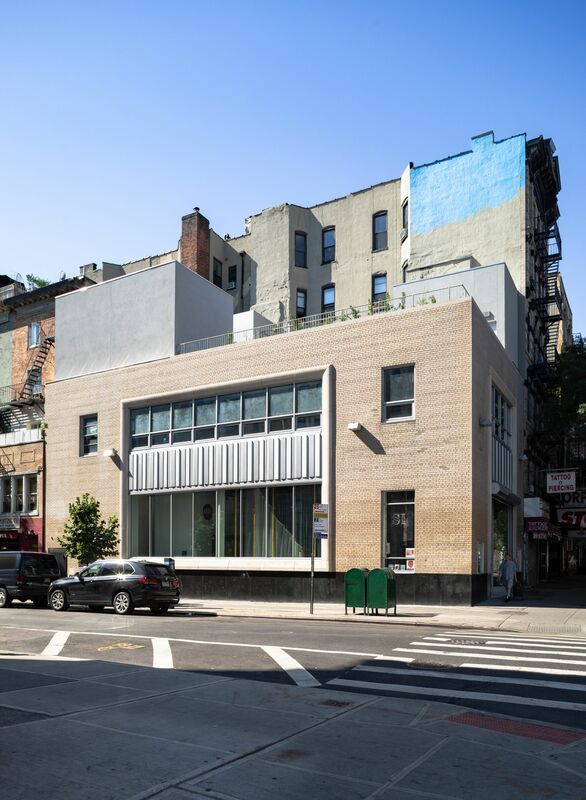 This 7,500 sf non-profit contemporary art institution located in the heart of the East Village is designed with an openness to support the client’s free admission policy as a platform for emerging artists and appreciation for under-recognized positions. 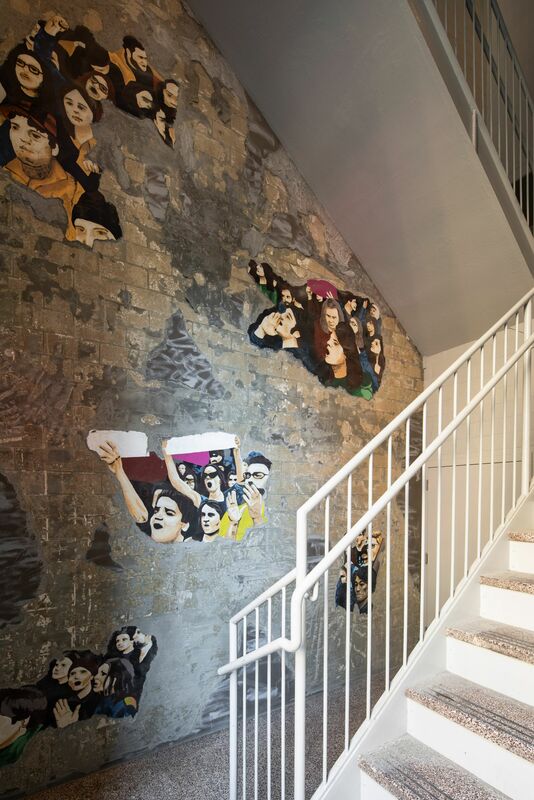 Selldorf Architects transformed the former bank built in 1954 into a versatile space where art and the public converge. 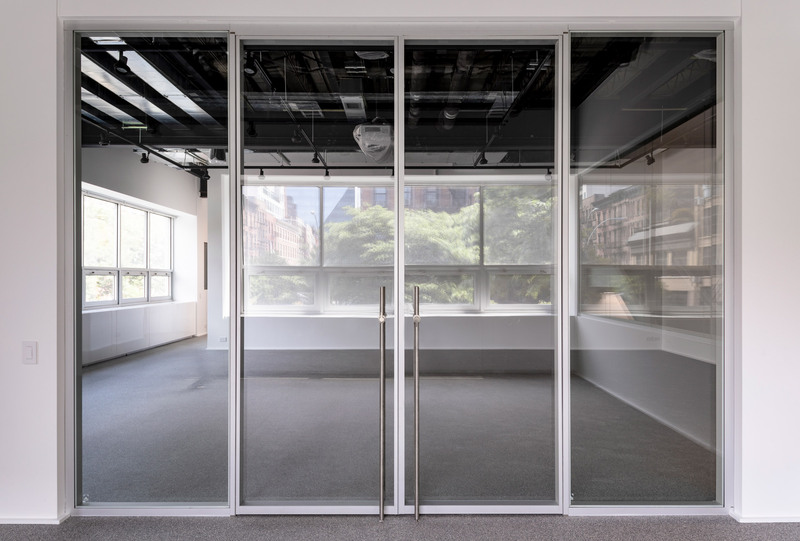 The design maintains the building’s historic character by refurbishing materials where necessary and selecting new ones in response to the original architecture. The distinctive exterior comprised of cream-colored brick with a black granite base, limestone surrounds, and pressed aluminum spandrels was cleaned and restored. 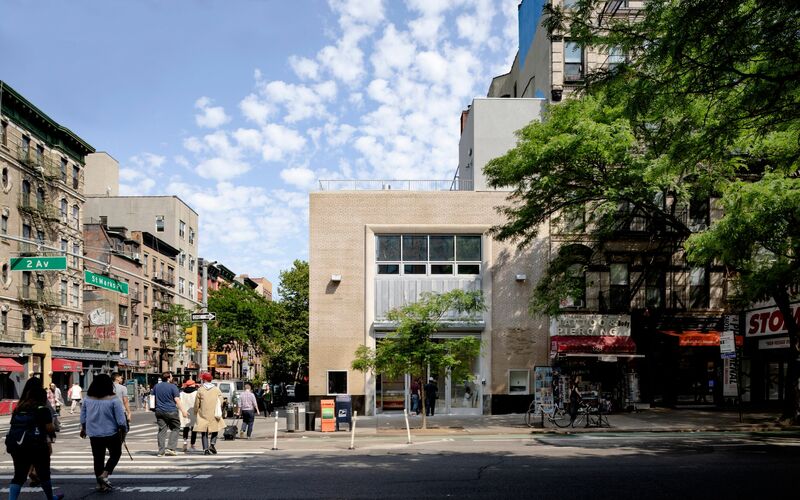 The four-story building includes galleries for exhibitions and public programs, a library, a Printed Matter bookstore, and a rooftop terrace and garden. 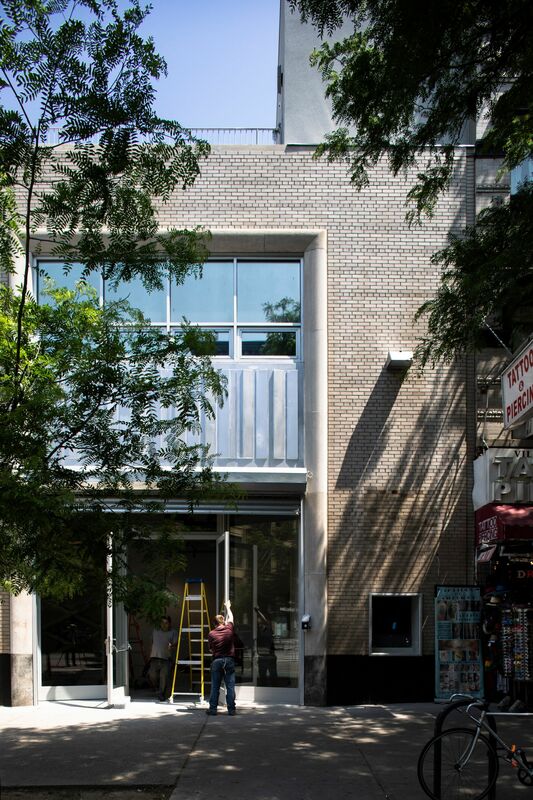 A new steel and concrete public staircase runs the vertical length of the building and utilizes a glass storefront on the second floor to add transparency, activate the spaces, and encourage circulation through the galleries. 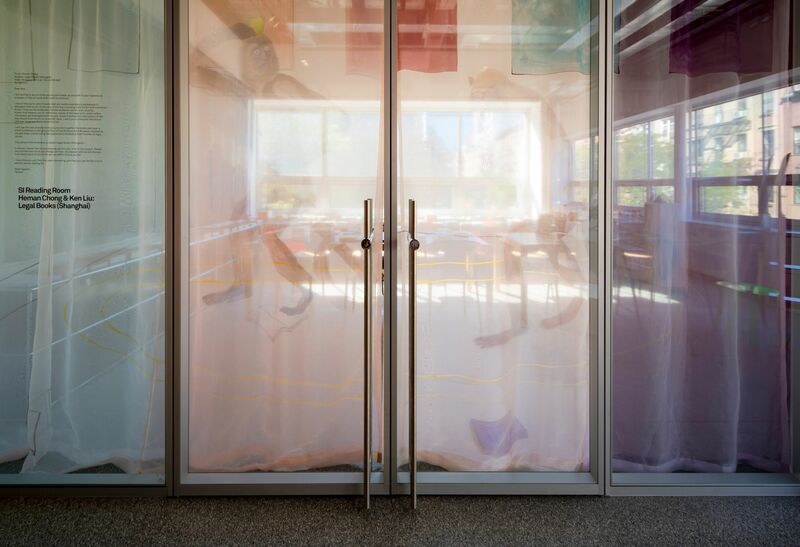 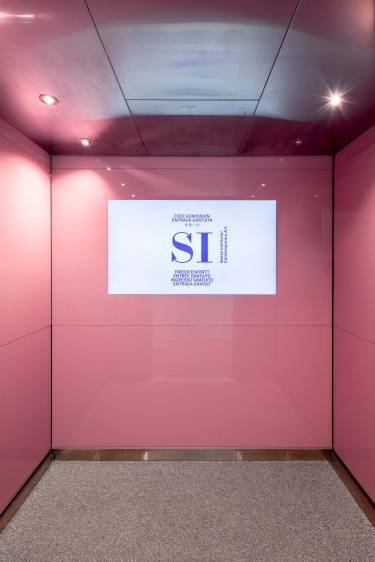 A new elevator brings accessibility to all floors and features an installation by artist Pamela Rosenkranz, who selected a palette of interior finishes to resemble the color of the SI Director’s tongue. In addition to the double entry doors, an operable window and 17’-7” ceilings on the ground floor will accommodate larger artworks, allowing SI to stage exhibitions of works of significant scale that were previously unimaginable. 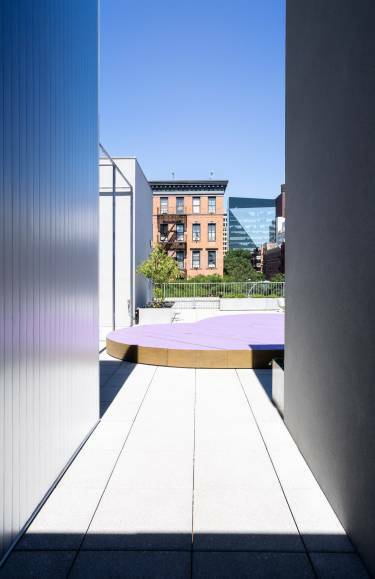 The rooftop is reinforced to accommodate a garden terrace that will host rotating art installations and events. 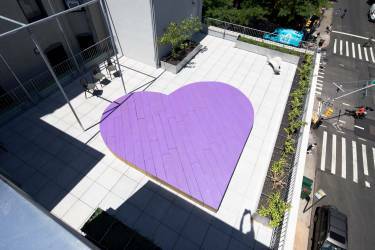 A trellis on the Southern edge of the building offers shade and is seen from the street level, while visitors enjoy artist Michael Wang’s SI ONSITE installation — comprised of aluminum planters housing endangered plant species — as well as Valentine Carron’s Vecchio Cuore, 2018 — a heart-shaped pine dance floor — and views of Manhattan’s skyline.